In a nutshell - we are trying to reduce road traffic casualties by encouraging as many people as possible to stop using their mobile phone whilst driving. So guys what can you do for us? The answer to that is simple. We don’t want your money, we are not asking for you to undertake a strenuous task … all we want you to do is to paint your thumb to show your support and help us to spread the My Red Thumb message - Don't use your mobile phone when driving. Wouldn’t it be amazing as you walk down the High Street if you saw lots of like-minded people with red thumbs? You might be thinking, "Really? Why would anyone ever try and use their phone whilst driving it’s such a dangerous thing to do!"…. if this is you, great, help to encourage others to think like you by pledging your support and painting your thumb red. When people ask you about your single digit paint job tell them all about the campaign and encourage them to do the same. Alternatively, if you are thinking, "Actually, yes that is me. I do use my phone when I am driving - but not very often - and if I do I am really careful"- then this campaign really is for you. If you need some convincing that using your phone whilst being ‘in control’ of a tonne of metal is not a good thing to do - take a look at Andrew's Story. Is it really that bad to use a mobile phone when driving? A lot of research shows that using a hand-held or hands-free mobile phone whilst driving is a significant distraction, and greatly increases the risk of the driver crashing. Remember it isn’t just speaking – texting and using smartphones can be even more distracting than talking on your phone. If you are caught it’s a £200 fine and Six points - this means that if you are within the first 2 years of passing your test you will lose your license and have to retake your theory and practical tests again! 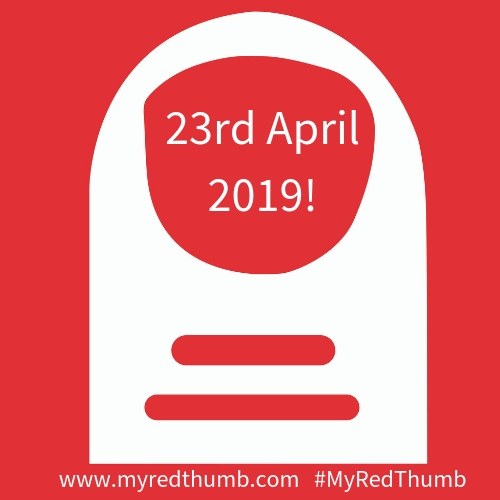 If hearing about the My Red Thumb campaign has left you wanting to know more about how to be safe on the road you can find lots of useful information on these websites.